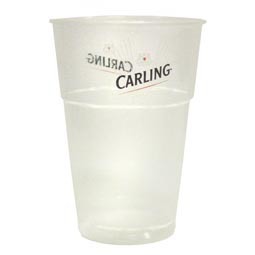 Pack of 100 disposable Carling branded pint cups. 23oz max capacity. Lined at 20oz (1 pint) mark.